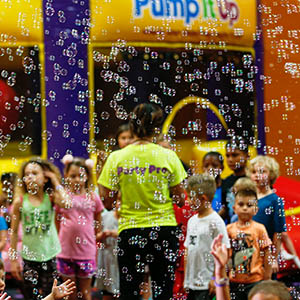 Add our Bubble Extravaganza to your party to watch your child and guests have the time of their lives! Guests young and old can't resist chasing and popping thousands of swirling bubbles in our Arena A. 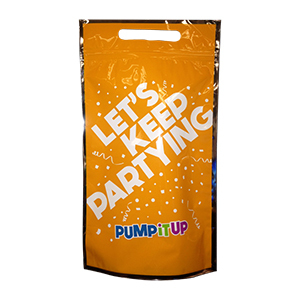 Its a great way to get your party started! Bubble extravaganza is for 10 minutes. This experience includes Glow Lighting, Glow Necklaces the use of the Glow Ball Guns that are a blast. The Kids and parents are easy targets and the soft pong balls glow in dark as they soar through air.. The guns are used in our laser lit glow room. This experience is a customer favorite! 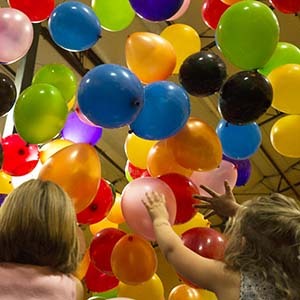 It includes over 100 balloons dropping on your birthday child and his/her guests. Kids will have a chance to play with the balloons. Then before transitioning to the next arena we will have a balloon pick up game where children and parents pick up the balloons and put them back in the net. If they pick up the all balloons within 2 min., every child will receive a Pump It Up slap bracelet which is valued up to $24. Party photos have never been easier. Let us take the photos throughout your party while you sit back and relax. Snapshot is included in all of our party packages. 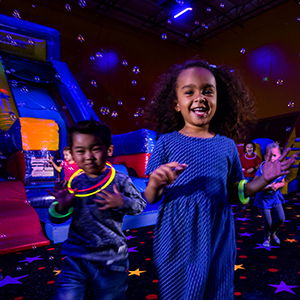 Welcome to Round Rock's ultimate kids birthday party place!